90 percent of Americans don’t enjoy whipping up their own meals. Restaurant food is what excites their palate. You know herein lies a potentially lucrative business opportunity, that’s why you’re thinking of opening a food business. But there’s a problem. You don’t have enough capital to establish the business and keep it running until it’s turning a good profit. What should you do? Give up your dream of being a business owner? Wait! Have you thought of starting a home-based food business? Keep reading for a complete guide on starting a food business from home. Yes, the vast majority of Americans love buying their meals, but this doesn’t mean your upcoming business will automatically attract lots of customers. Is it legal to start a home-based food business in my state? If yes, what permits and licenses are required? How many food businesses (including restaurants) are in my local area? What kind of meals do locals love? Do locals love to eat out in restaurants or they prefer ordering food online? What’s the average cost of the most popular dishes? What’s the failure/success rate of home-based food businesses in your area? After digging to the bottom of these questions, you’ll have a good idea of the state of food businesses in your area. Ideally, you want to start the business in a location that’s not so competitive and has a diverse, thriving food scene. As a food entrepreneur, it’s easy to skip the process of building a business plan. After all, you just need to purchase kitchen equipment, make tasty meals and wait for customers to troop in licking their fingers, right? Any business, whether it’s a 7-star hotel or a one-man home food business, needs a business plan. In fact, starting a business without a business plan is much like cooking a new dish with a recipe. You just don’t know what the outcome will be. Your plan doesn’t have to be an overly formal document. A simple plan that highlights the name and address of the business, your business model (online delivery vs home food truck), capital requirements, meal variety, and marketing strategy is good enough. Although home food businesses aren’t as capital-intensive as commercial kitchens or restaurants, they still swallow a sizeable amount of money. On average, you need at least $10,000. Now, how do you raise this money? The good news is there a couple of financing options you can turn to when you’re short on funds. The first option is to reach out to your friends and family and ask them to fundraise the money for you. Depending on their financial abilities and how effectively you pitch your idea, you could get the money. If that’s not appealing to you, consider taking out a personal loan. You can borrow from your bank or approach online lenders. Be sure to read more about this financing option and determine whether it’s ideal for you. Another strategy is to go in for a home equity line of credit. If you own the home where you want to base the food business, this could turn out to be the best source of capital. Regardless of your financial source, ensure you have the entire amount before proceeding to the next step. Some food entrepreneurs make the mistake of assuming their businesses will start generating a profit soon after they open, so they launch without access to adequate capital. Bear in mind a food business can take more than six months before it becomes profitable, and poor cash flow is one of the main reasons catering businesses fail. Starting a home food business doesn’t mean you’ll be cooking commercial dishes in your family kitchen. The commercial space must be separate from your living areas. This means you’ve to carve out this space and equip your business kitchen. Government inspectors will audit this space before you’re issued with the necessary licenses, so it’s vital to get it right. Ensure everything from the appliances to the walls and floors is spotlessly clean. It’s advisable to consultant someone who has gone through the inspection process. They will help you set up the place and enhance your chances of impressing the inspectors. Once you pass the inspection, the local authority will issue you with a food permit, certificate or license. In addition to licenses, you’ll also need to register the overall business. This is usually a simple process that involves filing the business’ ownership and physical address details with the relevant department in your state. 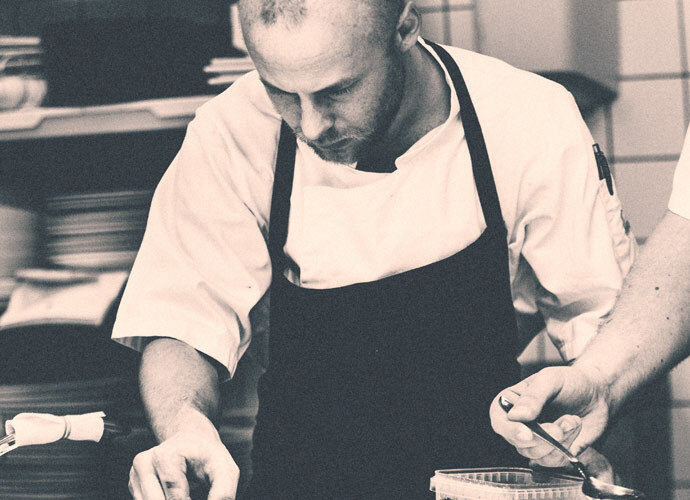 A home food business isn’t complete without at least a chef. And if you also double up as the chef, you’ll need to hire at least two more people. One to handle the finances and another to serve your customers. As the business grows, you can then add more people to the team as needed. Even though you’re short on funds, it’s essential to spend some of your capital on marketing. You can start small by distributing flyers in your neighborhood. Once customers start coming in, encourage them to spread the word to their friends and relatives. Next, create social media pages for the business and set up a website. Digital marketing requires expertise, which is why you should outsource the task to an agency. Starting a Food Business from Home Is Easy! Starting a food business from home is an ideal way to break into the food service industry when you’re on short on funds. However, just because it’s a simple and cost-effective business doesn’t mean you can skimp on essential details. Fortunately, we’ve given you the information you need to start the business. Now you have to get to work. All the best and remember to explore our blog for more culinary insights.